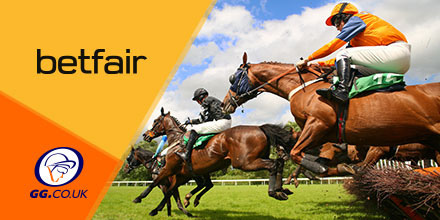 Betfair are one of the world’s favourite bookmakers, with plenty of offers across each days racing,. Check out a couple of enhanced doubles below! The first of this Haydock duo is Viva Vittoria who races in the 2:40pm, going in as odds-on favourite for this two mile and six furlong, Novices Hurdle. A victory and three places in five career starts, show plenty of talent in this Emma Lavelle trained ride, beating several strong fancies for a 7/1 win at Market Rasen last month. This looks to be a weaker field here and another victory looks on the cards here. The first of this pair at the Lincolnshire track is Peppay Le Pugh who goes in as odds-on favourite for this two mile Novices Hurdle at 2:00pm. This Dan Skelton has really improved over the last year, picking up five wins in the last eleven outings, including last time out at Doncaster. The biggest threat looks to be Mr Scrumpy, but another strong run should be enough to make it two in a row. Later in the 5:15pm race, another Skelton ride in Aggy With It goes in as odds-on favourite for this two mile NH Flat Race. On debut at Aintree back in October, the horse finished fifth in another NH Flat race and after some Winter schooling looks to take on this lower class race. Madam Malina looks to be the main danger having posted similar performances, while the remainder battle for the lesser places. Aggy With It, Viva Vittoria and Scorpion Sid are some of our free horse racing tips this Wednesday. Place 5 x £10 or more bets to receive £20 in free bets. Repeat up to 5 times to receive maximum £100 bonus. Min odds 1/2 (1.5). Exchange bets excluded. T&Cs apply. New customers only; debit and credit cards only, 18+.